Before Worship Generation became a church in Orange County, it was a young adult outreach at Calvary Chapel Costa Mesa. In the summer of 2005, Joey was led to start a new church in Fountain Valley, and it was a natural fit to continue to use the name Worship Generation. Worship Generation is the third Senior Pastorate for Joey Buran and is the continuation of over 20 years of ministry for Joey. His pastoral calling began back in 1988 when he became an intern pastor at Calvary Chapel Vista in San Diego County. Three years later, in the spring of 1991, with the support and encouragement of his Senior Pastor Brian Brodersen, Joey, his wife Jennifer, and their first child, Hannah moved to Virginia Beach, Virginia to start a new Calvary Chapel. Over the next four years while ministering in Virginia, the Buran family would grow with the addition of their second daughter Leah and first son Timothy. In the spring of 1995, the family moved to Burlington, Vermont to start another new Calvary Chapel. By 1997 they were back in California, where Joey became immersed in evangelism and other ministry as an itinerate pastor. It was during this time that their second son and final child Luke was born. In January of 2000, Joey was invited to come on staff at Calvary Chapel Costa Mesa. Over the next five years he would oversee the Worship Generation ministry, as well as extensive guest speaking and outreach ministry, primarily amongst youth, throughout the United States. Beyond his 20 years of pastoral service, Joey has a long and varied relationship with the sport of surfing, and its culture worldwide. From 1978 – 1984, prior to committing his life to Jesus Christ, Joey was California’s top ranked pro surfer. During this time, he was known as the “California Kid” and won numerous professional events including surfing’s most prestigious contest, the Pipeline Masters, in 1984. In 1985 he retired from the pro tour and founded the U.S. Pro Tour of Surfing. After 10 years of Pastorate Ministry he came back to the sport and in 1998 won the ASP World Masters Championship in Puerto Escondido, Mexico. He was inducted into the Surfing Hall of Fame in 2009. During the late 1990’s, he also worked for the well known surf company Billabong, where he managed and coached their top amateur team riders. From 2009 to 2011, Joey traveled and did tours in Hawaii, England, and South Africa with the movie, Beyond the Dream. By 2011, over 25,000 copies of Beyond the Dream have been distributed throughout the United States and the World! After touring England with Beyond the Dream, and holding Surf Coaching Clinics in August 2010, Joey was eventually approached and asked to become the Coach of the British Surf Team. In May he coached the team at the ISA World Junior Championships in Lima, Peru. In 2013, Joey visited Chile doing ministry outreach which included some surfing coaching clinics. In January of 2014, sensing God’s confirmation to go forward, Joey committed to become the Head Coach of the Chilean Junior Surf Team. He oversaw the Junior Surf Team program while working in conjunction with the Chilean Surf Federation. This had included coaching the team at the 2014, 2015, and 2016 ISA World Junior Surfing Championships, as well as the Chilean pros at the 2015, 2016 ISA World Surfing Games. In late 2016 Pastor Joey felt led of the Lord to step back from his position of Coach of the Chilean Surfing Program believing that the job was complete and that God had a new season for his personal and ministry life. Shortly after this decision was made, Joey was approached by USA Surfing and asked to coach the USA Surf Team in early 2017. This began an amazing two year journey for Pastor Joey. During this time he led the Junior Team to a Gold Medal and a World Title at the 2017 ISA World Junior Surfing Championships. Moving forward from that success in early 2018, Joey worked directly with the US Olympic Committee (USOC) in their coaching development program. It was during this time that he helped build the infrastructure for all junior athlete development in the US Olympic Surfing Program. Throughout 2018, Joey served as the coach of the US Olympic Surfing Program helping to implement USOC culture to USA Surfing and its long term athlete development vision. In December of 2018, after much prayer and consideration, Joey resigned from the USA Surf Team and retired from surf coaching. Upon his retirement, he was noted by USA Surfing as being the most successful surf coach in the history of American surfing. 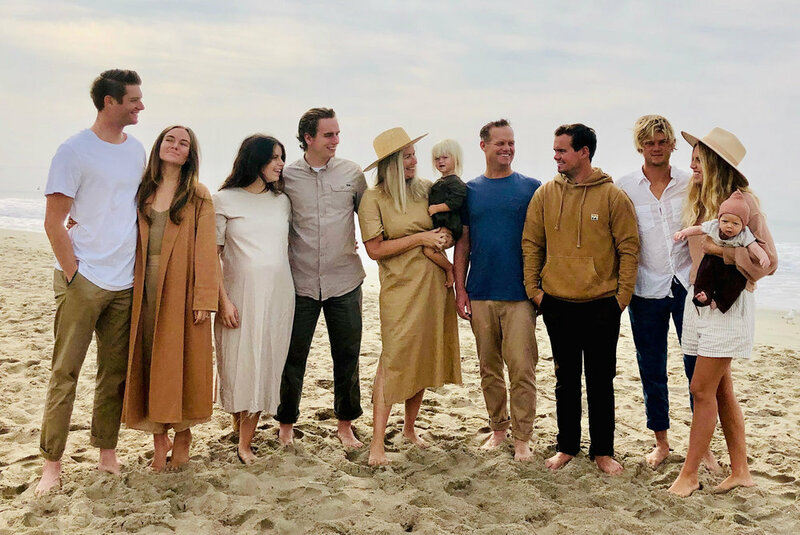 Going forward in 2019, Joey continues to serve as the Senior Pastor of Worship Generation, while seeking to fulfill the varied and unique ministry opportunities that open to him through his past involvement with the sport of surfing. He presently resides in Huntington Beach with his wife Jennifer. His oldest daughter, Hannah, resides in Florida and is married to Nathan Gallagher (High School Pastor at CC Vero Beach). They are both very involved with Calvary Chapel Vero Beach and various other national outreach ministries. His younger daughter Leah and her husband Jakeh Bradley live in the Orange County area with their two children. Their oldest son Timmy travels the world working in the maritime industry, while their youngest son, Luke and his wife Belle and their daughter reside in the Orange County area as well.